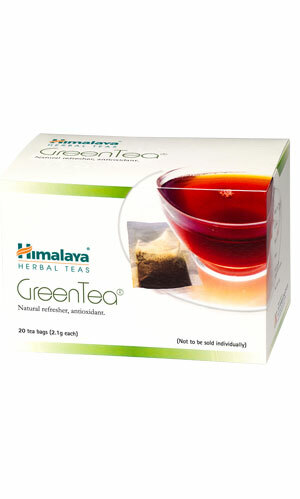 Himalaya's GreenTea helps you tackle fatigue and detoxify the entire body. GreenTea is a potent antioxidant, which builds the body's immunity and has anti-carcinogenic properties. It promotes gastric secretion, aids digestion, normalizes blood pressure, facilitates weight reduction and helps fight physical and mental fatigue. Drink a cup of GreenTea twice daily. Dip the tea bag in a cup of hot water for five minutes. Add honey or sugar, if desired.